The cult-classic franchise makes its triumphant return! In the thirty years since its release, Highlander has inspired a cult following and numerous spinoffs with its epic clashes between powerful immortals. 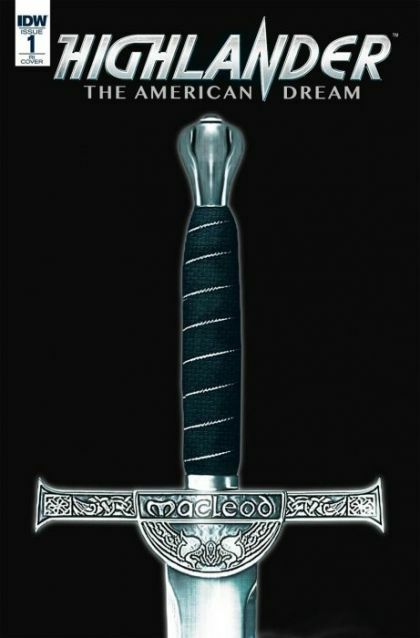 Now, The American Dream follows Scottish swordsman Connor MacLeod as he navigates through the American Civil War and 1950s Manhattan toward The Gathering in 1986. Reunite with familiar faces, such as Connor's secretary Rachel, and meet new immortals, such as Osta Vazilek, but remember... There can be only one! • The cult phenomenon returns! • Written by Scottish fantasy novelist Brian Ruckley (The Godless World trilogy)! • Interior art by Andrea Mutti (Rebels)! • Covers by Eisner Award-winning artist Francesco Francavilla! • Subscription covers by Italian artist Claudia Gironi! • Ask your retailer about the foil cover featuring Connor's original sword!